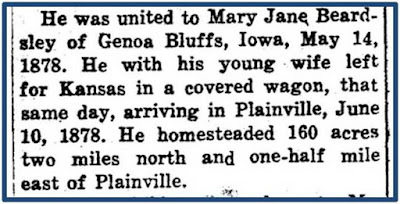 The small Kansas prairie community that would become Plainville was first settled in 1877. Historic newspaper accounts tell of fertile land with great appeal to westward settlers. In July 1888, The Plainville Times wrote that, "In consequence of its wealth of nutritious grasses, its excellent and abundant waters, its sheltered little canons southward on the Saline river, it was the favorite pasture of vast herds of buffalo and countless numbers of elk, antelope and deer - a veritable 'Hunter's Paradise,' well deserving the name, accorded by the Cheyenne, Arapahoes and Kiowas, who, until 1868 held almost undisputed possession of this and the whole central and western region of Kansas." By the spring of 1878, word about the fertile land was out and "settlers were 'pouring in like a flock of blackbirds1.'" 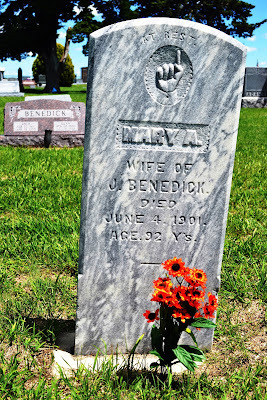 Among the town's early settlers were my third great-grandparents Michael and Mary Jane (Andrus) Bair. In Michael's 1939 obituary, the rush to settle in Plainville was recalled. The growing town saw more people putting down roots and construction of many buildings including churches and a schoolhouse. However, it didn't have nor want everything. According to a journalist in the same July 1888 Plainville Times article, "The town has no saloons, and the blight of their presence will never come to Plainville." Saloons aside, the city's burgeoning population required the creation of a cemetery. To the east of town, a small burial ground was dedicated. Its earliest burials date to the 1880s. In its fertile soil rests generations of my ancestors who created and contributed to Plainville's history. Surrounded on all sides by farmland, the Plainville city cemetery only emerges from the swaying wheat crops as you nearly pass it by. 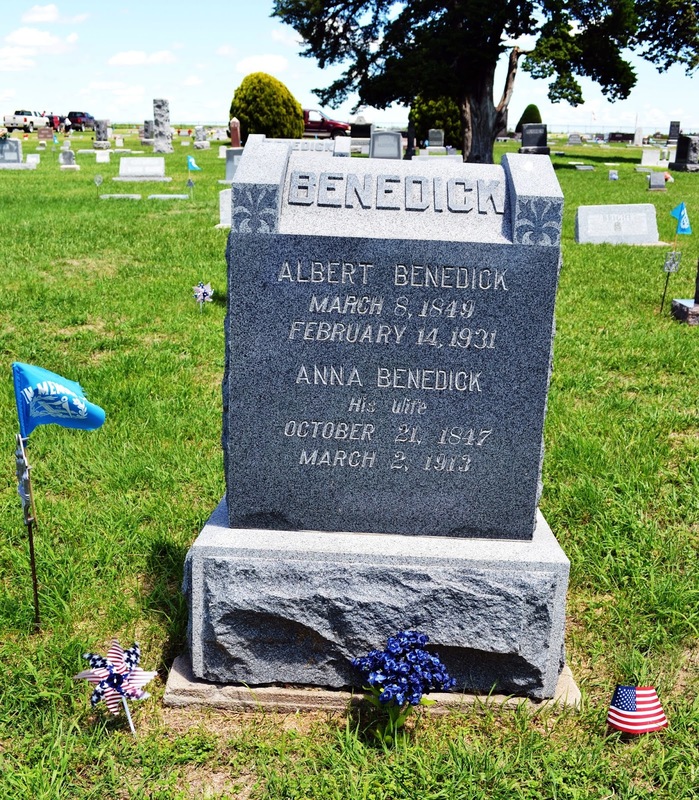 Every Memorial Day, my family would visit the cemetery to decorate the family plots. Pulling in to its gravel drive, we always parked near my great-grandparents headstone and then set out with flowers in hand searching for our stone markers. 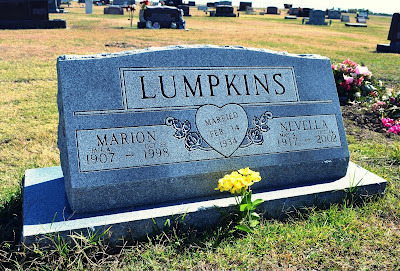 In her later years, my great-grandmother Nevella (Benedick) Lumpkins worried that no one would remember to decorate the graves. She would plea with her granddaughter, my aunt, to remember to place flowers at the memorials of our ancestors. That memory is recalled in this brief audio clip. 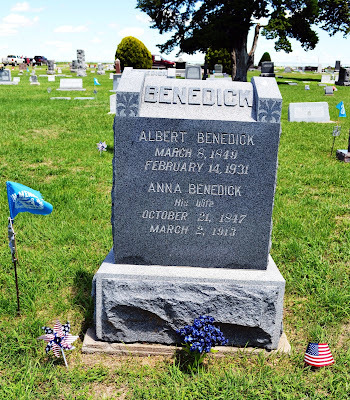 Today, the cemetery is the resting place of eleven of my direct ancestors, including my grandmother who passed away nearly two years ago and wished to return to Plainville to be buried in her hometown. 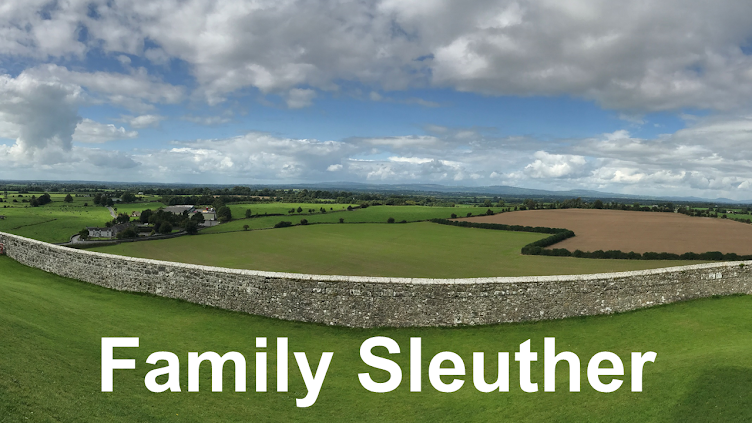 When I walk among my family's headstones, I imagine the stories that are lost forever to history, but remain thankful for those that I've uncovered and saved. 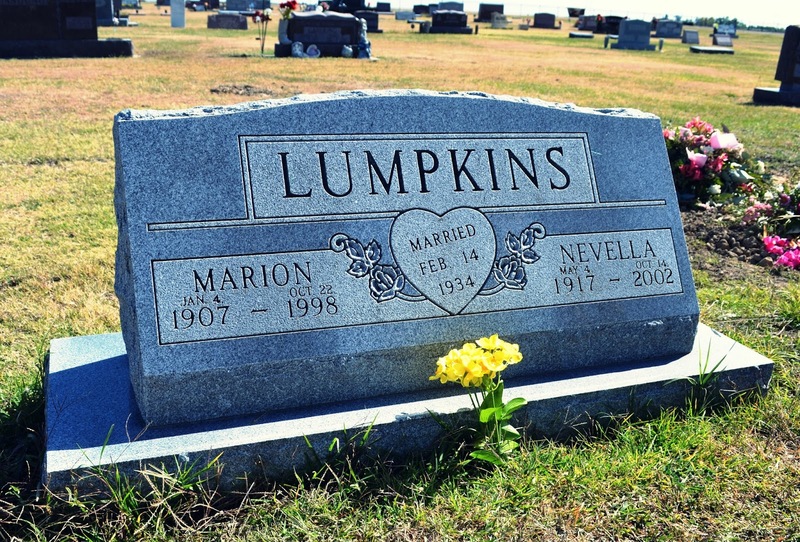 My great-grandmother Nevella can rest easy that we have not forgotten to commemorate our family. 1 Dougherty, Harriet. "History of Plainville City and Township," Plainville Times, 21 September 1961, pp. 12-13. I love this Mike. Your desire to know your history and dedication to learn it and remember it and in a way to live it is inspiring. Thank you so much for your oral history contribution. It brings it all to life.